There is something special about a good story; a story that leaps off the page and takes your entire attention. That has you enthralled through a whole movie experience, or reading a book the entire way through, not even stopping for sleep or meals. These stories and the story worlds that the author creates are escapes from reality, a safe place from the insanity of the world. When you create a story that has such a massive effect on its audience, it is natural they want more. That they want to be engrossed in a wider “expanded universe”, so to speak. This may drive the reader to spend many hours on the internet looking for any additional story details that the author may divulge. It may lead to days of discussions (online or in person) about every minute detail. It could even inspire fan fiction and fan art. It is my belief that if an author has created something that has resonated so strongly with an audience, that it would be their due diligence to nurture the relationship with their fans. This does not necessarily mean that it always has to be done by giving more stories. It can also be done by the author connecting personally with the fandom in various ways, and building a brand around themselves that gives the fans not only a deeper connection with the story, but with the storyteller. One of the best examples of connecting with fans benefits everyone involved is John Green. 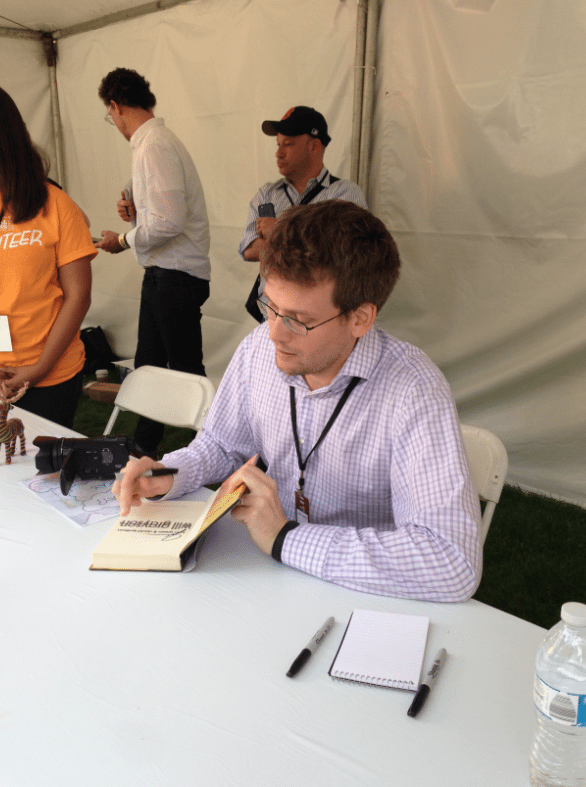 This weekend at the LA Times Festival of Books I witnessed John Green receive a “rockstar” welcome from what must have been over 500 fans that were in line waiting for him to sign their books. This does not include the many fans that had attended his panel (rumor was the theater held 1,100). 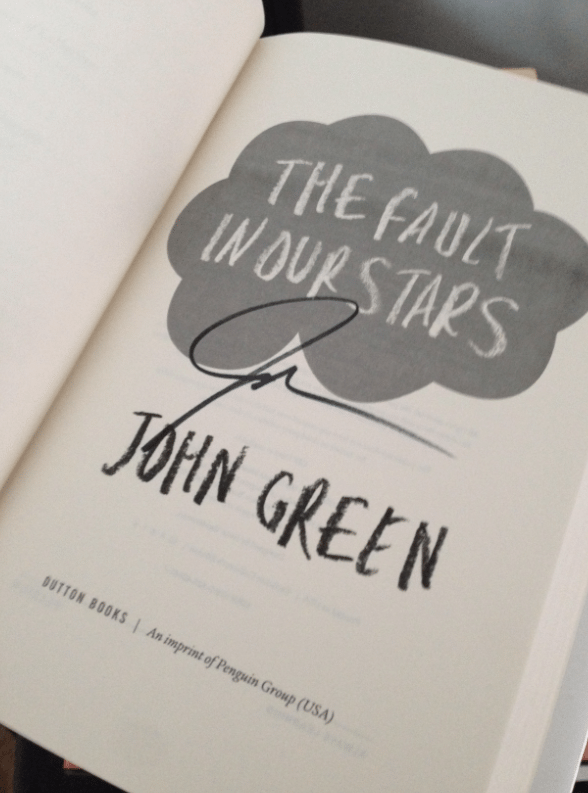 John Green’s signing was slated to start at 1:30 PM after his panel. Personally, I got in line with my copy of The Fault In Our Stars at 11:15 AM. I was already number 57. The line wrapped around itself and then around the next building. At about 12:30 PM volunteers explained that he was only going to be able to sign one book per person, no personalization, no pictures. No one left the line, and it just grew. When the author walked out and to the signing area EVERYONE cheered. This author, this storyteller, was someone they had connected with, maybe more so then an actor or movie star. I credit that to how he treats his fans. Many people know John and his brother Hank from a YouTube experiment they did call The Vlog Brothers. From this and the fandom that developed they created DFTBA, which helps members of their fandom in the YouTube community work together and monetize their creativity through merchandizing. The brothers have also created an online video fandom convention called VidCon. And they are fans and geeks themselves talking in their videos about everything from Doctor Who to science. John and Hank Green aren’t passive creators that put their works out in the world and then step away. They are active, they converse with their fans, and they are genuinely happy that their works have the effect they do on people. That, I believe, is why John Green signed a book for each and every person that was in that line or got into the line after his panel. He must have signed for at least 4 hours. And his fandom loves him for it. More of my articles on transmedia storytelling can be found here. Angelique Toschi is a social media professional who is active in multiple social media communities. 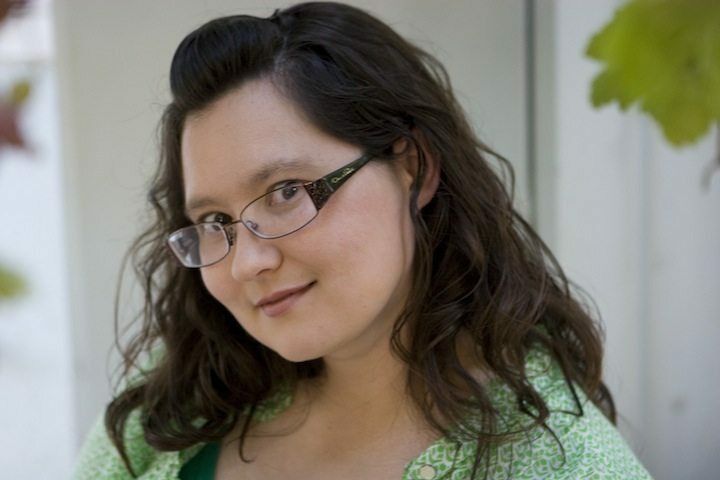 She uses her BA in English from UCLA and MA in Mass Communications, Advertising from Cal State Fullerton to help her create strategies and write social media content for various clients across multiple industries. Some of her current and former clients in the entertainment industry have included The International Academy of Web Television, web series “Lenox Avenue”, and Transmedia LA. She also currently handles social media and corporate communications for Shakey’s USA, Inc. (57 locations across the US).